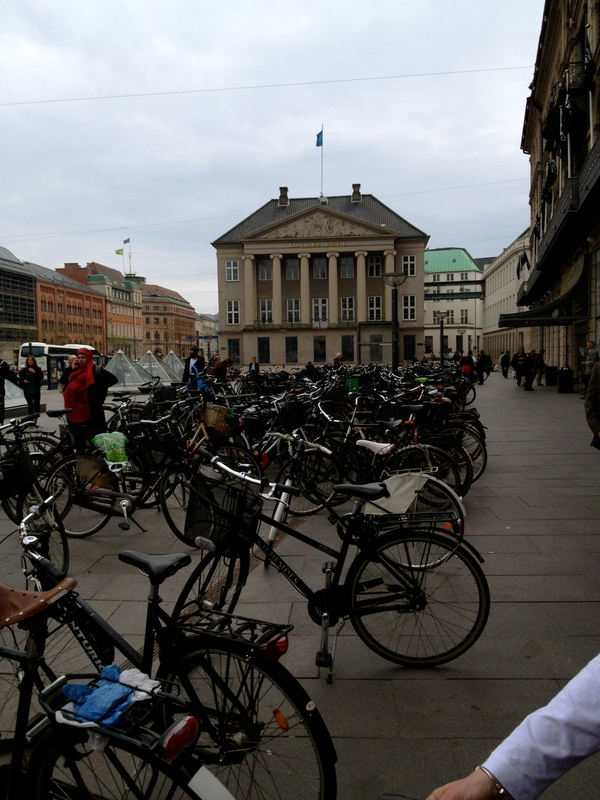 As you navigate through the city of Copenhagen, you notice bikes and public transportation everywhere. Yes, there are cars but nothing like the amount of cars you see traveling through the city of Portland, Maine. It is faster to use a bike, walk, or use transportation than it is to drive a car in Copenhagen. As you get a feeling for their everyday life, Copenhageners all share the common goal of being a greener city. They aren’t afraid to ride their bikes in suits or heels – they’re accustomed to it. If you are walking or driving a car, you better watch where you’re going because it appears as though the bikers have the right away. If you hear a bell, you better get out of the bike path or else you will be run over. 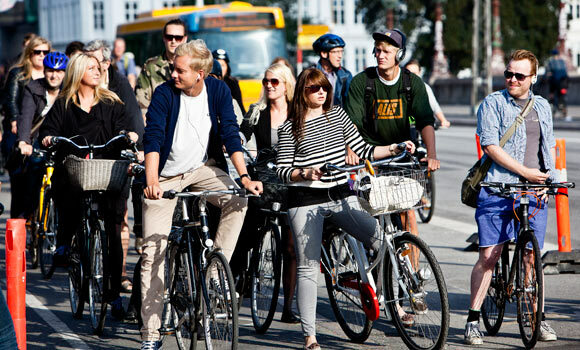 By 2025, Copenhagen has a major goal of 75% of all trips in Copenhagen to be on foot, by bike or public transportation. That’s an ambitious goal, however, of all places, Copenhagen would be the place to do it. Their terrain is smooth and flat; they have wide bike paths, and have made all the necessary adaptations to making biking a desirable form of transportation. How would walking, biking, or taking public transportation work in Maine? I think the transition would be hard. You can ride from one side of Denmark to the other side within an hour, but you can’t even drive from one side of Maine to the other in five hours. This would be one of the biggest barriers. The state is not set up in such a way that is appropriate for bikers or public transportation. Yes, there is a train and some public transportation in Portland and other cities; however, it is nothing like the frequency of public transportation in Denmark. Maine has many hills and a much tougher terrain than that of Denmark. I think it would be feasible if you live and work in the same city, however, many people in Maine work and live in different cities, sometimes ranging from anywhere from five minutes to two hours away. Green mobility would be a great opportunity for individuals who live within a reasonable range to their work. In order for green mobility to gain awareness, it would be important for Maine to expand upon their public transportation. First off, making more bike lanes, throughout the cities at least. Bike lanes and additional bike racks near the Old Port would be extremely beneficial since it can become quite a cluster of cars during the morning and evening work commute. Adding bike racks to all buses would be a helpful feature. We would need to change the way people perceive transportation. We would need people to understand that they can ride a bike or take public transportation and still be professional. Becoming accustomed to bringing an additional set of clothes to change into when you got to work or taking a shower when you got to work would be important. If more companies had showers in their offices for people who biked or walked to work to use, people may be more willing to do so. Green mobility would be a lifestyle change but I could definitely see acceptance and resistance from people in Maine. I think there would be those athletic individuals that would be all for riding their bike to work, but there would also be a group that would want nothing to do with it. If it is a common goal that everyone works to achieve, it has the possibility of being successful. Also, providing people with incentives to walk, bike, or take public transportation would be a great motivating factor. If Maine would make adaptations to case green mobility to be more desirable, I’m sure they would receive participation. There are non-profits out there that promote biking such as “bike to work” day and other biking opportunities, but it will take government involvement to make green mobility viable. We need to follow Denmark’s footsteps and join them in their journey of making public transportation an attractive service of the future. We have to remember that creating a state with public transportation and greener mobility options will not take a day, but more realistically will take decades. Keeping that in mind, we can begin our journey to becoming a greener state and making biking paths and public transportation more accessible. Becoming greener in our mobility options would help us cut down on our emissions, creating a purer environment. This entry was posted in Transportation (including bicycling). Bookmark the permalink.